Lush Fab Glam Inspired Lifestyle For The Modern Woman: Unique Gifts For Her: Beauty Items Glamorized With Crystals. 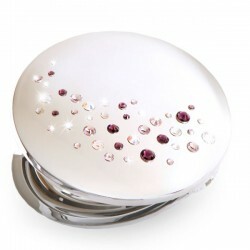 Unique Gifts For Her: Beauty Items Glamorized With Crystals. Are you running out of ideas for unique and creative gifts for her or worried that the birthday, mother's day, graduation or anniversary gift you give the woman in your life will be appreciated but rarely used? Then get her a gift that she will not only love but enjoy using as well. 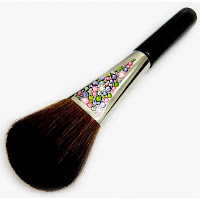 Give beauty items that every woman has in her handbag like compact mirrors, makeup brushes, hair brushes and even nail files, but not the plastic ones you typically find at a store's beauty counter. 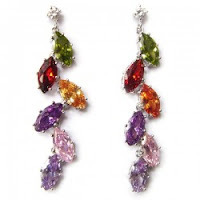 Instead give her a fabulous gift embellished with Swarovksi and glass crystals, or a unique gift that you can personalize with her name or initials in crystals. Read on to see more crystal embellished gifts that you can find for under $100 at the gifts shop. The crystal compact mirrors and hair brushes below brings back fond memories of the ones used by actress Kate Winslet (Rose) in the movie 'Titanic'. 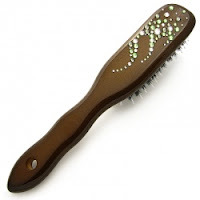 She will think of you during her morning beauty routine when she uses her crystal embellished hair brush. 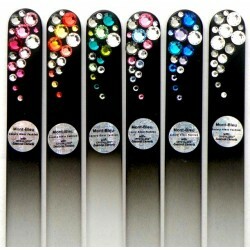 Now she can enjoy her weekly manicure routine with these crystal adorned nail files. 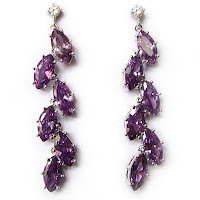 She will be the envy of her friends when she wears these beautiful crystal earrings. Which crystal embellished gift would you love to own? Leave a comment below. 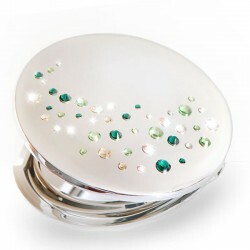 My two favorites are the crystal compact and the crystal manicure files. 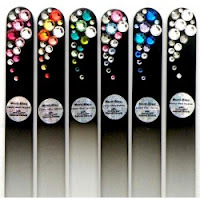 I am always touching up my face and nails and they would bring a bit of bling to these routine everyday tasks. Great Mother's Day ideas. it's adorable and special gift for woman...I appreciate it. Can someone recommend some websites that sell African-American hair care products? Great post. I was checking constantly this blog and I'm impressed! Very useful information specially the last part :) I care for such information much. I was seeking this certain information for a very long time. Thank you and best of luck.